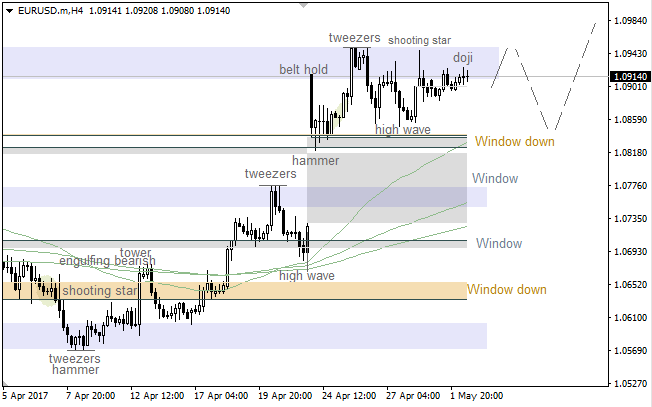 There’s a strong resistance area, where we’ve got bearish patterns such a “Tweezers”, a “Shooting Star” and a “Doji”. Therefore, the market is likely going to test the lower “Window”, which could be a departure point for another upward price movement. The 34 & 55 Moving Averages are acting as a support on the one-hour chart. 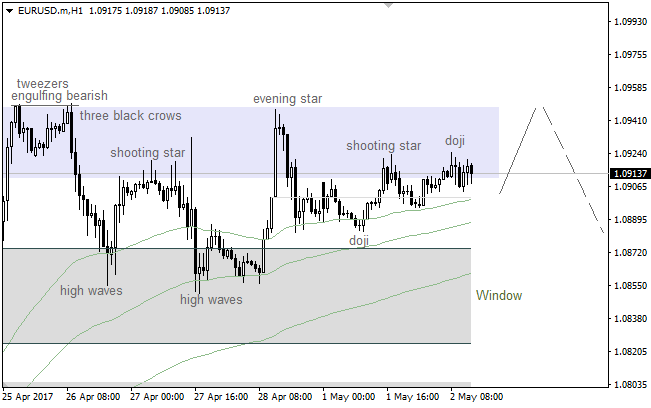 At the same time, there’re a bearish “Shooting Star” and a “Doji”, but both patterns have a quite weak confirmation. So, the pair is likely going to test the nearest resistance once again. If a pullback from this level be on the table, bears will have a chance to deliver a local decline.